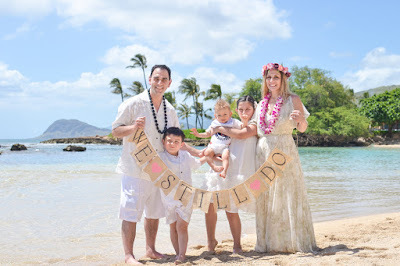 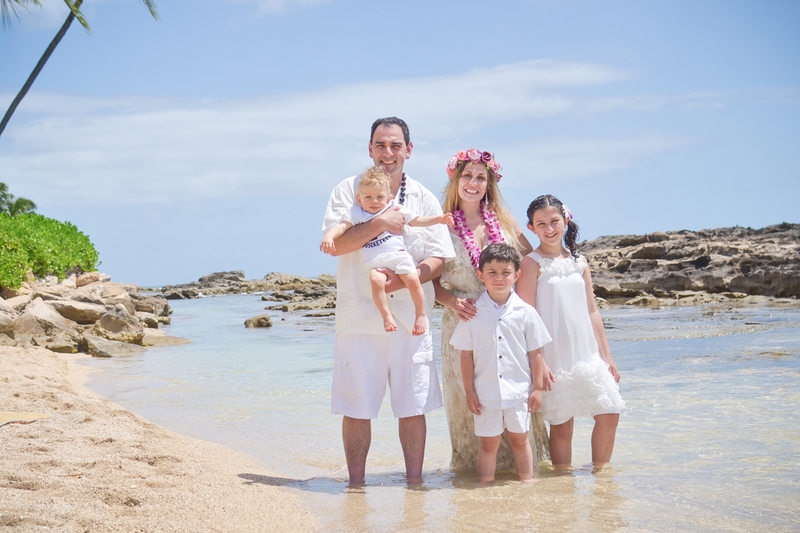 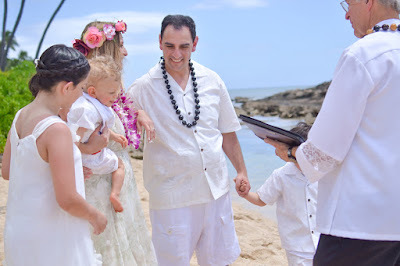 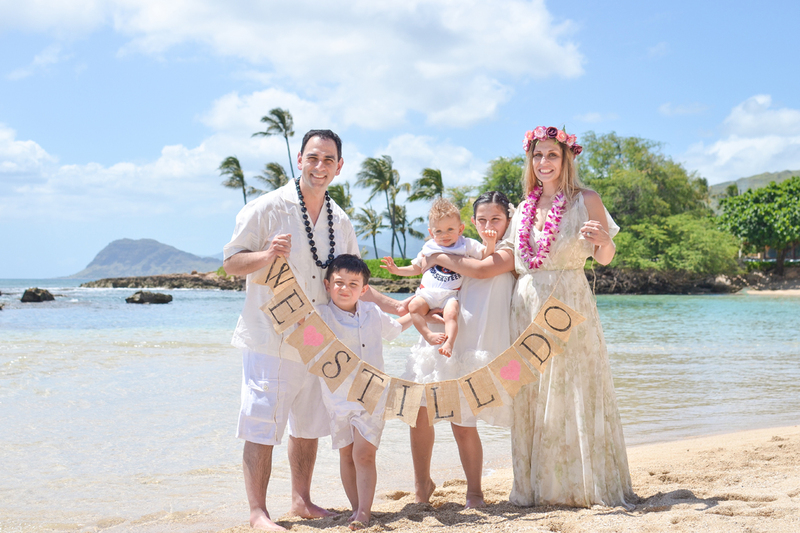 William and Jessica "still do" as they renew wedding vows in front of their children at Paradise Cove Beach in Ko Olina. 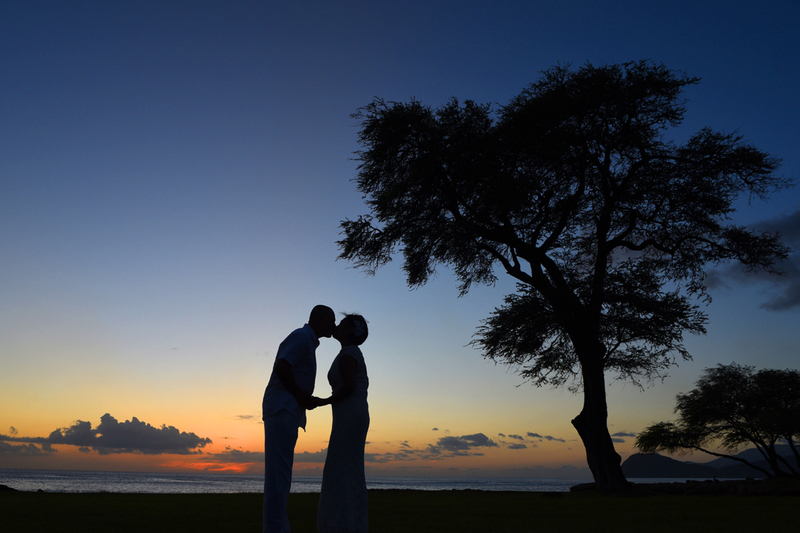 The silhouette of this magnificent tree at Milo Cove adds to the character of these romantic photos. Wonderful sunset at Milo Cove for our vow renewal couple Joy and Roger. 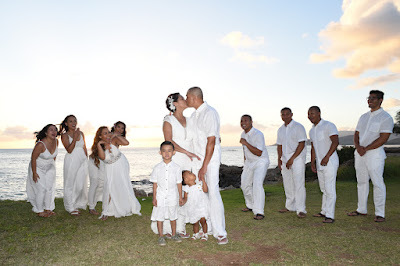 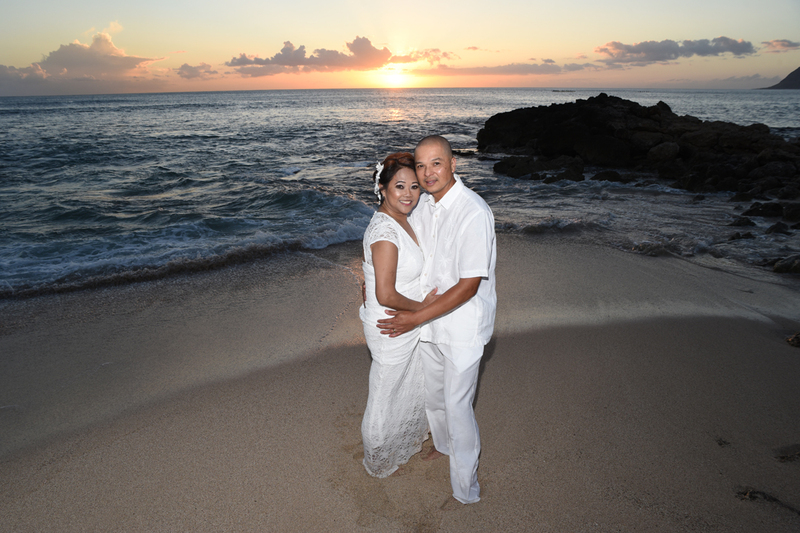 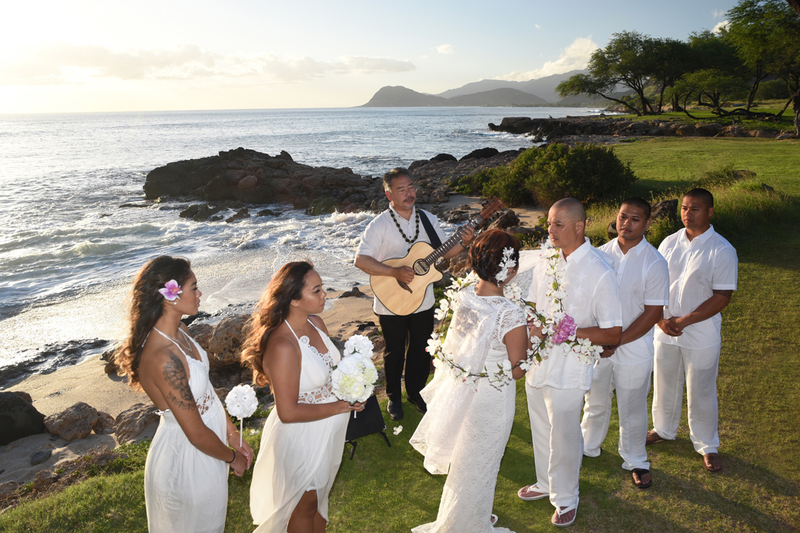 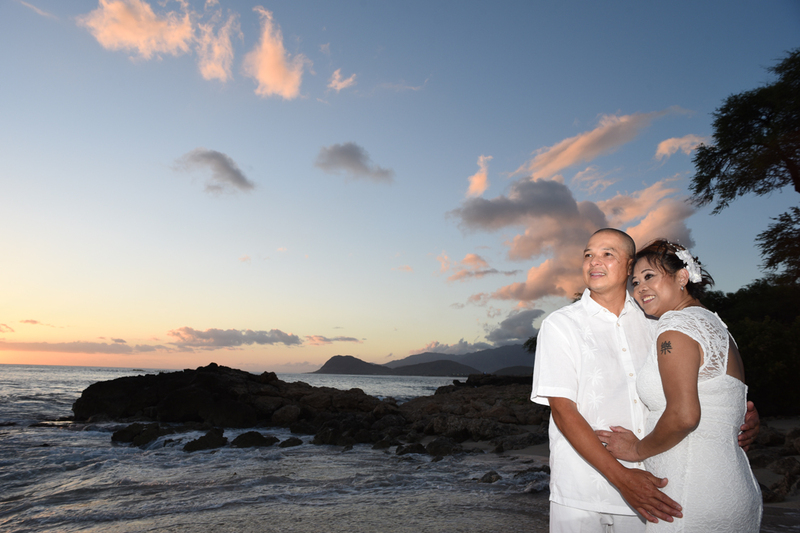 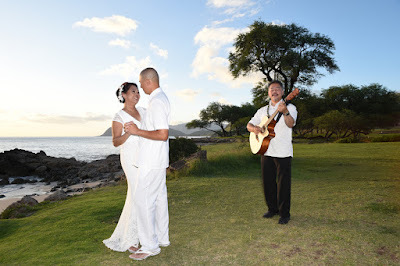 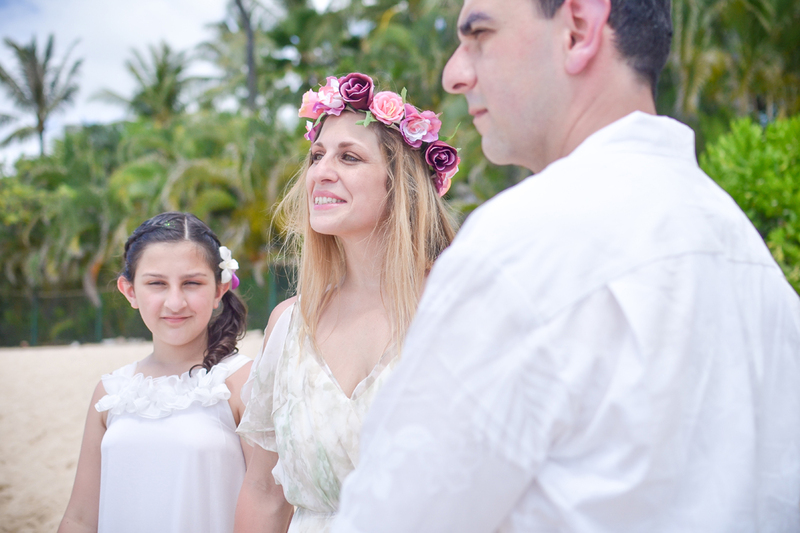 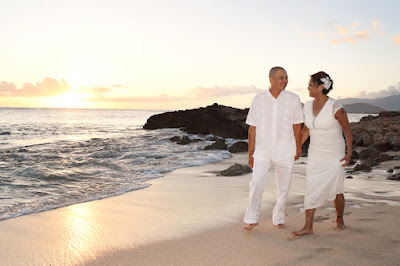 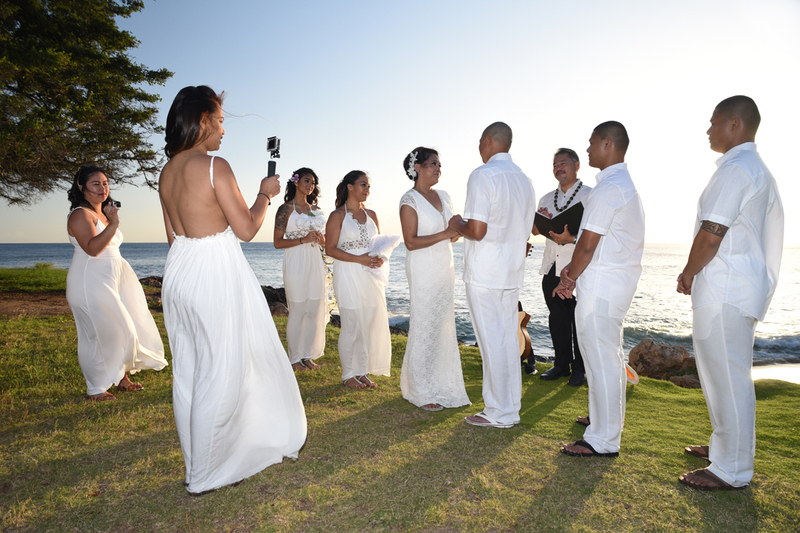 Joy and Roger renew their wedding vows at Milo Cove in Ko Olina with family gathered around. 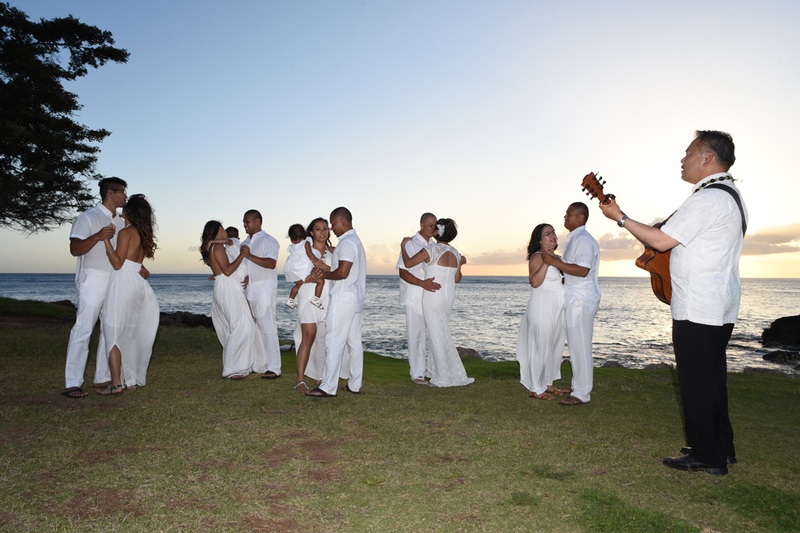 Everyone joins the party as Pastor John plays his guitar.